Under the green canopy… just above the leaf litter… within the vicinity of colorful fungi — a unique wildflower can be found. Hm… this one doesn’t look quite like the other wildflowers in nature though. Summer wildflowers are tall, stately, and colorful! This one is small, droopy, and white. Let’s not jump to conclusions, however. With common names like corpse plant and ghost plant, passersby get the sneaking suspicion that this species — most commonly known as Indian pipe, or Monotropa uniflora — deserves further exploration into its mystery. I’ve been a fan of this wildflower for many years, looking forward to its appearance every summer in Pennsylvania. As I traverse the forests in search of chanterelles, boletes, and black trumpets, the Indian pipe plant stealthily, yet inevitably, reveals itself during my summer treks. If you’re interested in learning more about this strange, yet beautiful summer plant, I encourage you to view a brand new video I created. 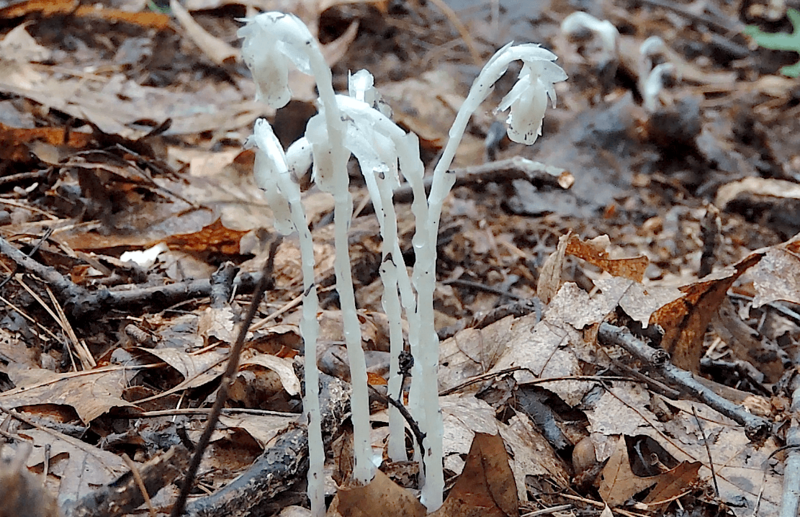 In it, I address some of the most common questions and thoughts regarding the Indian pipe plant. These have always been a favorite of mine – they grow profusly in northern Wisconsin – but I knew none of the natural history as dicussed in the video. Awesome job. Thanks for all the info! You’re welcome! Thanks for watching the video and commenting!